Below are a few of the comments and testimonials I have received. Most of the commissions also have testimonials beside a larger image of the artwork if you click on the thumbnails. Please sign my Guestbook if you would like to leave a comment! The portrait was wonderful and she loved it! It brought her to tears! 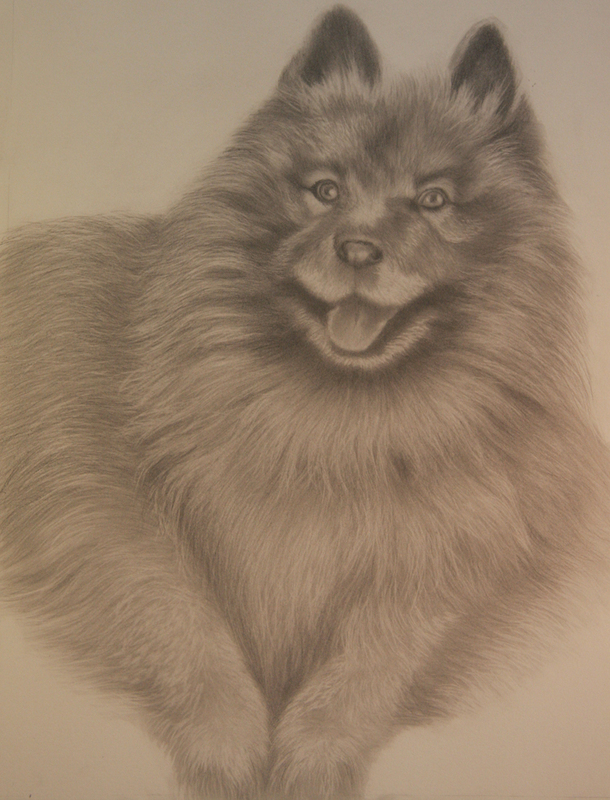 :D.
- thank you so much for the beautiful drawing you did of our dog Smokey. You captured his "smile" so perfectly, and also all of the natural texturing he had in his fur. :D.
You truly captured his personality in the drawing - makes us feel like he's home again. Thanks so much! I just saw the completed photos and hold on let me wipe my eyes. Oh, my Gosh, were they ever that sweet and little? Oh, well I will have time this week to send the girls who are 17 and 15. Thank you so much and I can't wait for my husband's b-day. I don't know if I'll be able to, I'm so excited. Thank goodness I'll be able to enjoy them too. I hope you and baby #2 are doing well? Take care and I will be keeping in contact, I have a puppy portrait I want to have done in the future. Bye. My pictures just arrived. Lol, oh my Gosh! They are gorgeous absolutely gorgeous. I want to frame them and put them in front of Scott. I will have to control myself. I just can't. Thank you again for everything. The pictures arrived in perfect shape and they are again great. oops I hope everything with you and your family is good? Wow, that is fantastic!!! Sharon absolutely loved it and was so surprised. I can't believe how well you recreated the contours and shadow in the hat -- your portraits are really striking! Thank you so much!